What are our history topics in school? At Mayfield, we love history! This year, we have been Celtic warriors in battle against the Roman invaders. We have journeyed miles across the Antarctic tundra in the footsteps of Shackleton. We have even mummified a child! We also use our timeline of British history, which stretches eight metres down the corridor, from the Iron Age to the present. Unfortunately we couldn’t fit the dinosaurs on – our timeline would have to stretch all the way to France to show the dinosaur extinction! We enjoy exploring the past, and imagining what it might have been like to live a long time ago. We are excited about all our new history topics, and the way they link to our learning across the curriculum. At Mayfield, we have a cross-curricular approach to teaching history. For instance, Year 3’s ‘Mummies Unwrapped’ is a topic focused on the history of Ancient Egypt. Other curriculum subjects are linked to history, including studying human and animal skeletons in Science by looking at mummies, reading and inventing our own Egyptian myths in English, and making our own papyrus in art. 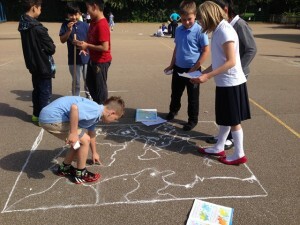 Foundation Stage Understanding the world – the history of me and comparing old and new. Stories, including the Moon Landings. Prokofiev’s Peter and the Wolf. The history of story, and the influence of William Caxton and Tim Berners-Lee. Polar explorers and their links to Cambridge. Comparing the life and work of significant artists. Early Islamic civilisation and Baghdad c.900. WW1 and the Christmas Truce. Life in 16th Century East-Anglia. Comparing invasion threat for WW2 and the Vikings. 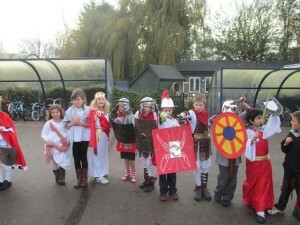 We aim to provide children with fascinating and inspiring history learning in our topic lessons. 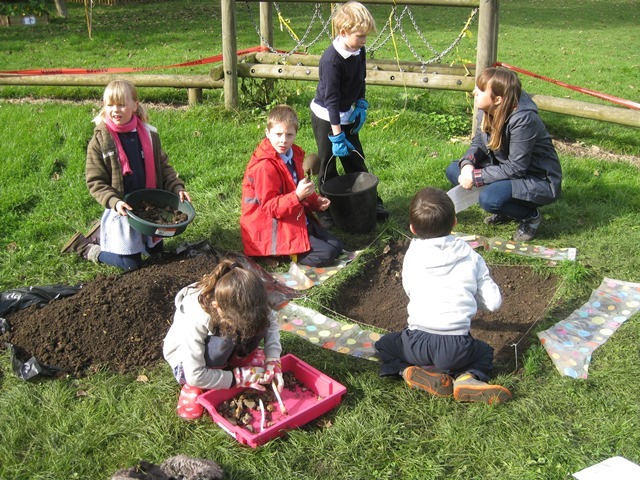 We also offer opportunities for children to explore history beyond the classroom. We often use the outdoor space as part of our topic work. For instance, Year 3 spent the day being archaeologists in the autumn, Year 6 spent a morning drawing maps on the playground of Ancient Greece, and Year 4 had a Roman invasion battle on the field. We often have trips or visitors to engage children with their learning about the past. This year these include a Year 5 visit to Kentwell Hall, A Year 4 day with Roman siege weapons, and a Year 2 trip to the Scott Polar Museum in Cambridge. We have strong links with our local museums, and are working with them to develop the use of museums in school education. 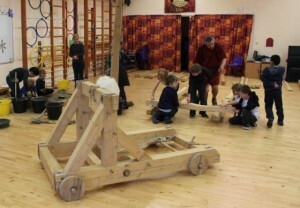 There are also opportunities for extra-curricular history in school. In Golden Time some children have been working on our corridor timeline, and in the summer we are hoping to have an archaeology club.